By J.T. O'Donnell It's summertime. (Well, unless you live in New England like me where NONSTOP rain has made it seem more like early spring.) However, for the most part, the summer weather generally brings each of us at least one opportunity to relax and enjoy a break. At which point, we all usually say something like, "I'm going to take some time to go to the (insert beach, lake, park, etc. here), plop in a chair and read a book." Well, I've got the book for you. And you are going to love the price: It's FREE. 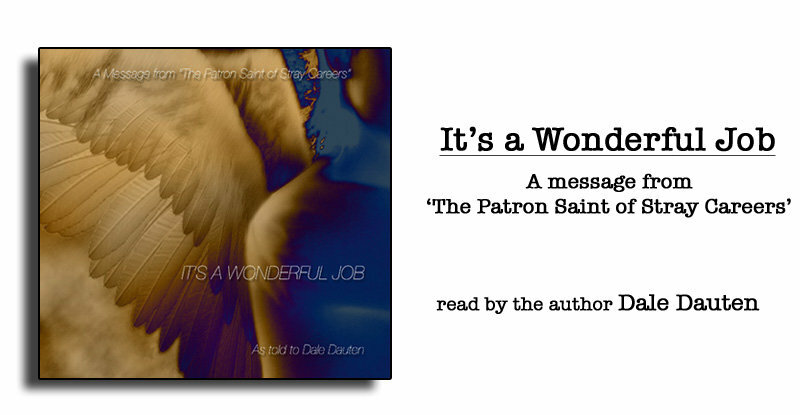 The author, Dale Dauten, is a a true management authority. He's written 6 acclaimed books and is hired by some of the biggest companies in the US to work with their teams. I also happen to be lucky enough to know him personally. I still scratch my head and wonder how I ever convinced him to choose me to become his writing partner a couple years ago. Someday, I need to write a post about it because it's a really neat story... Dale wrote a book not so long ago called "It's A Wonderful Job." Surprisingly, the publishing house opted not to publish this INCREDIBLE book. (I mean it, Dale's writing style is fantastic.) Want to know why they didn't choose to publish this book? Because it's for people who feel like they are lost in their careers. (Which is roughly 70%+ of the American population these days). And yet, the publisher's thoughts were this: Unemployed people don't buy books. So what did Dale do? After all the time, energy and thought he put in to writing it.... he decided to give it away. In fact, he has both a written and audio version and you can get them by clicking here. It's A Wonderful Job is a powerful tale. A thought-provoking read that I know you will finish and say, "That was worth it." So, download your copy, grab a chair and some sunlight and enjoy this summer read. When you're done, tell 10 friends about it and I guarantee your professional credibility with them will rise. And don't forget to say Careerealism.com was the site that told you about this great, FREE book. ENJOY!